You guessed it from the picture above, it's pumpkin season. Fall is here! woop woop and now everything is going to have pumpkin infused scent in it. Starbucks had their pumpkin coffee, bath and body works has their pumpkin lotion and body mist, all bakeries have pumpkin cakes and now Skin First Daily has their pumpkin skincare trend post! ohh yea! I myself am not a pumpkin scent lover, but I do have some readers who love it and would love to help them find some pumpkin infused skincare products to really keep them in the fall, halloween, pumpkin spice mood. The funny thing is that I have some products in my shelf that are pumpkin infused, and last time I used some of them where in the fall. There must be something in the scent that just feels good in the fall, when its a lil bit cold. Most of the skincare products with pumpkin are usually used for glowing and nourishing the skin, which is right up my alley. When eaten, pumpkins are disease-fighting agents that are full of fiber, potassium, magnesium, Vitamins C, E, A, and Carotenoids. 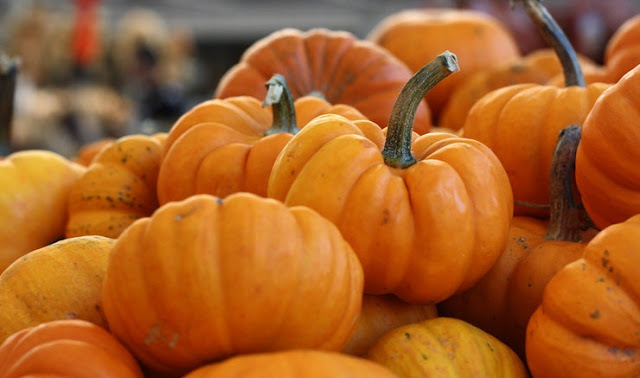 For skin care, pumpkin serves as protective antioxidant for your body. The Vitamin C and E work together to neutralize free radicals, keeping our skin healthy and young. Also, the Vitamin A in pumpkins works to protect your skin against UV damage and it contains enzymes that dissolves protein, which helps shed dead skin cells. This powerful, triple-action manual, chemical and enzymatic exfoliating treatment addresses a dull, agin, and congested complexion in three ways: it exfoliates with pumpkin enzyme, reveals with alpha hydroxyl acid, and polishes with aluminum oxide crystals. It also helps even the appearance of skin tone, smooth the look of fine lines and wrinkles, and clarify to reveal skin that looks smoother, younger, radiant, and revitalized. Burt’s Bees® Lip Balm, Pumpkin Spice, helps lips feel their best with an added dash of pumpkin spice flavor. This 100% natural lip balm is made with beeswax and other beneficial ingredients, which help leave your lips feeling conditioned and hydrated. It is also free of parabens, phthalates, petrolatum and SLS, and fits perfectly in your purse, backpack or pocket. Spread on a little TLC with Burt’s Bees® moisturizing lip balm. This naturally based body butter is a steal at under $5. It's chock-full of skin softening ingredients like coconut and pumpkin seed oils that soak immediately into skin and leave a soft pumpkin fragrance behind.available at Trader Joe's locations. An overnight treatment mask packed with superfood pumpkin and natural enzymes for glowing and radiant skin. This all-in-one nighttime moisturizer and intensive overnight sleeping mask works wonders for your damaged, dull, dry skin while you sleep. Formulated with nourishing, moisturizing, and radiance boosting natural ingredients, this gel-type moisturizer absorbs quickly to make a dramatic difference by morning. The Perfect 3-Wick Candle! Made using the highest concentration of fragrance oils, an exclusive blend of soy-based wax and wicks that won't burn out, our candles melt consistently & evenly, radiating enough fragrance to fill an entire room. Topped with a decorative lid! Burns approximately 25 - 45 hours. 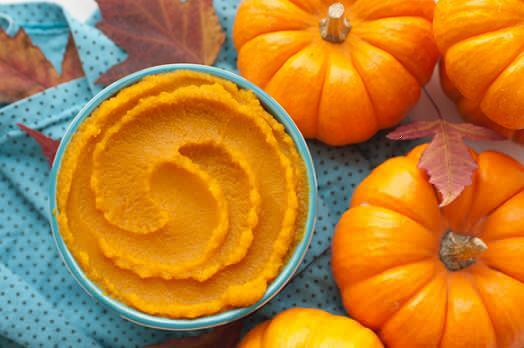 What's your favorite pumpkin infused skincare product?